A 10% Student discount is offered to students for the duration of the class and 30 days thereafter. This class has no hidden costs!!! We don't just sell it WE LIVE IT! Call 401-732-8808 for more info or stop by the store to enroll. A 10% Student discount is offered to students for the duration of the class and 30 days thereafter on gear. This class has no hidden costs!!! We don't just sell it WE LIVE IT! Call 401-732-8808 for more info or stop by the store to enroll. PADI ENRICHED AIR/NITROX Certification Class. Instructor: CHRIS PARKER Develop your skills and extend your range of diving experiences! Learn to use Nitrox to increase your bottom time and improve your safety factor. Only one classroom session. No Dives Required. The cost of this NITROX / ENRICHED AIR course is $175.00 and includes the book, tables, and certification card for Enriched air Diver. Class Schedule: (classes are at Giant Stride Dive Shop) Classroom : Wednesday, May 8 @ 6:30 pm. Meet the instructor and review Knowledge reviews, course requirements take test. 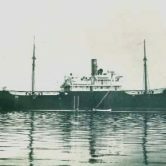 The Heroine sank on 6/19/1920 and is 136' long X 26' wide and sitting in 70' of water...a really great dive with lots of fish and marine life on and around her. This wreck is great for Spearfishing or Photos. Cost is $140.00 per diver and only 6 spots are available. Reservations are made by full pre-payment that is non refundable. If you cancel your reservation you forfeit the full payment. If our captain cancels the trip, we issue a full refund if you paid in cash and a store credit if paid by credit card. 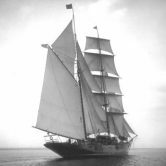 Cancellations by our Captain are made on the day of the charter, one hour before sailing time. We cannot guarantee dive sites, alternate dive site selection does not constitute a cancellation or a refund. Please be at the new slip 1/2 to 1 hour before sailing time, to fill out a waiver, present a certification card and get fully loaded 15 minutes before departure time. Our boats sail on time at 7:00 am and if you miss the boat it’s your loss. Sign up now as these charters sell out quickly. This is aboard Priority 33 State St. Narragansett, RI (in Galilee), show up by 6- 6:30am to load up and sign waivers, we leave at 7:00 am sharp. Required gear: Advanced Open Water Certification card, Wreck reel, Safety sausage or lift bag. 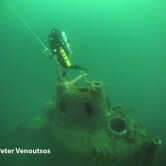 Cape Fear Technical Wreck Dive! We are leaving out of Conanicut marina @ 7:00 am so please arrive at 6:00 am to load up the boat! High tide is 8:52 am. This is an Advanced dive with maximum depths of 165 feet and requires a Deco Procedures Certification. Cost is $125.00 and will sell out fast. Redundant Airsource and standard safety equiptment required. Stop in the store or call 401-seven 3 two-8808 for more details.